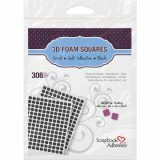 Scrapbook Adhesives 3D Self-Adhesive Foam Squares - 3L CORP-Scrapbook Adhesives. Is your paper craft project looking a little flat? Try these! They are great for layering or just adding a little dimension. 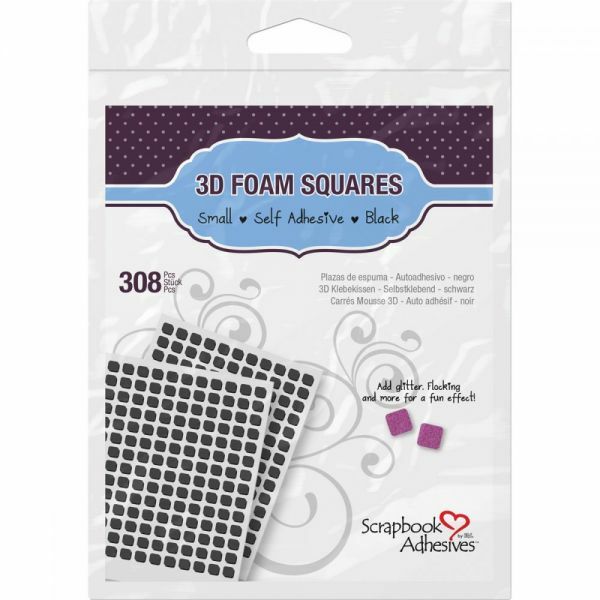 This package contains 308 1/4in high density, acid free, archival safe, permanent, acrylic based, lignin free, PAT tested black 3D 1/16 thick foam squares. Imported.